But the ones that will stay with me for a while are a thought provoking and clever one called “Out of Nothing – Chaos,” and a silly fun rhyme called “Pickled Piper.” I am mentioning these two because they resonated deep within the silly me, my life experiences and deep philosophical questions about humanity. I am sure all readers will find a few that will speak to them as well. McCarthy did a great job formatting and producing this collection. Readers will be entertained and literary enriched by his writing style and playful craft. I am sure that the audience, like me, will find this collection worth keeping in their personal libraries to revisit from time to time. 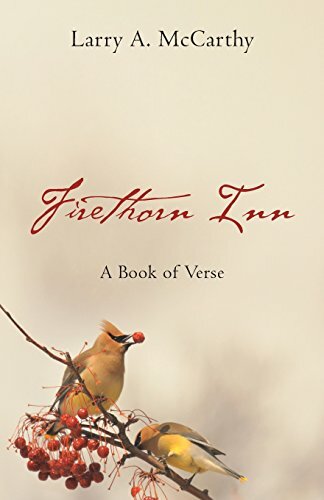 "Firethorn Inn: A Book of Verse" by Larry A. McCarthy is a five star clever, fun, and thought provoking collection of rhymes and verses which will enrich readers book shelves for sure!